Yohimbine synonym quebrachine, and not to be confused with yohimbe, is a Indoloquinolizidine alkaloid derived from the bark of the African tree Pausinystalia johimbe; also from the bark of the unrelated South American tree Aspidosperma quebracho-blanco. Yohimbine is an alpha-2 adrenergic antagonist, and has been used in a variety of research projects. It is a veterinary drug used to reverse sedation in dogs and deer. While yohimbine behaves as an aphrodisiac in some mammals, it does not do so in humans. It has been prescribed as a treatment for erectile dysfunction, but its reported clinical benefits were modest and it has largely been superseded by the PDE5 inhibitor class of drugs. Substances which have purported to be extracts from the yohimbe tree have been marketed as dietary supplements for various purposes, but they contain highly variable amounts of yohimbine, if any; no published scientific evidence supports their efficacy. Yohimbine Hydrochloride is indicated as a sympathicolytic and mydriatic. It may have activity as an aphrodisiac. It is thought to work by increasing the body’s production of certain chemicals that help produce erections. It does not work in all men who are impotent. 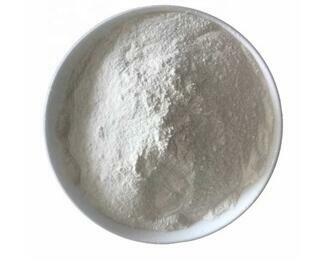 Yohimbine hcl powder could be an herb with very effective antioxidant potential. Research shows it is a vasodilator, which means that it increases blood flow to the extremities and appendages. (1) It is decreasing fat synthesis and working as a great anti-depressant. (3) It is thought, however, to work by increasing the body’s production of certain chemicals that help produce erections. It does not work in all men who are impotent. (4) New research that shows it could be an herb with very effective antioxidant potential. (5) Research shows it is a vasodilator, which means that it increases blood flow to the extremities and appendages. (6)It can also elevate mood, reduce anxiety and depression, prevent heart attacks helps building muscles. 1.It may have activity as an aphrodisiac. 3.The way yohimbine works is not known for sure. It is thought, however, to work by increasing the body’s production of certain chemicals that help produce erections. It does not work in all men who are impotent. 4.New research that shows it could be an herb with very effective antioxidant potential. Research shows it is a vasodilator, which means that it increases blood flow to the extremities and appendages. Patients sensitive to rauwolfia alkaloids such as deserpidine, rauwolfia serpentina, or reserpine may also be sensitive to yohimbine. Yohimbine readily penetrates the (CNS) and produces a complex pattern of responses in lower doses than those required to produce peripheral alpha-adrenergic blockade. These include, anti-diuresis, a general picture of central excitation including elevation of blood pressure and heart rate, increased motor activity, nervousness, irritability and tremor. Sweating, nausea and vomiting are common after parenteral administration of the drug. Also, dizziness, headache skin flushing reported when used orally. Renal diseases and patient’s sensitive to the drug. In view of the limited and inadequate information at hand, no precise tabulation can be offered of additional contraindications. Use yohimbine exactly as directed by your doctor. Do not use more of it and do not use it more often than ordered. If too much is used, the risk of side effects such as fast heartbeat and high blood pressure is increased.